The Luxe Nomad provides a holistic and memorable travelling experience for affluent business and leisure travellers. What if we could all WanderLuxe for Less? Well, here at TheLuxeNomad.com, we believe that traveling in style should be affordable. That’s why we ensure only the best rates online by working directly with approved villa owners and hotels. On top of that, there’s also our weekly exclusive “Nomad Picks” with up to 70% off normal rates. The only catch? You simply need to sign up (for free!) as a member to view and book. 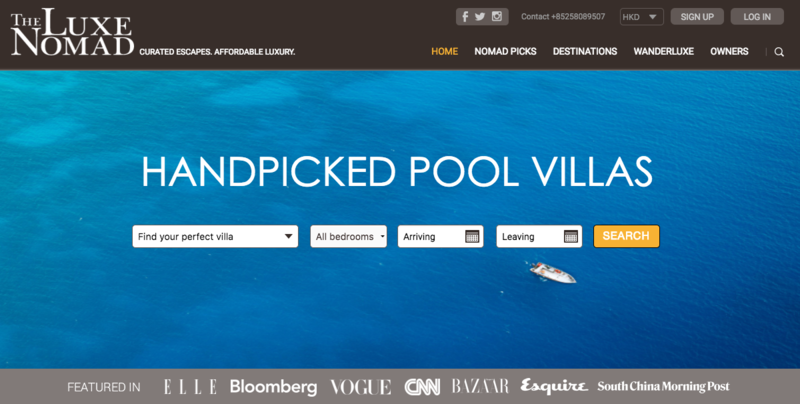 As Asia-Pacific’s leading luxury villa and hotel booking portal, we aim to make booking that holiday, easy. So you can forget about spending hours searching for that right place, as our team of travel-centric Nomads has curated a list you can trust.